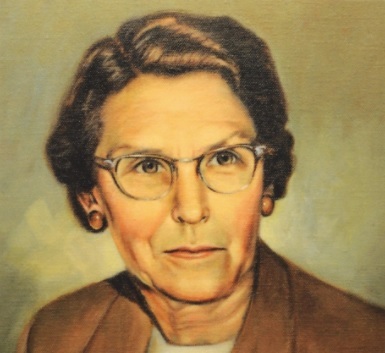 Juanita Leone Leavitt was born on January 15, 1898 in Bunkerville, Clark County, Nevada. She was raised in Bunkerville. 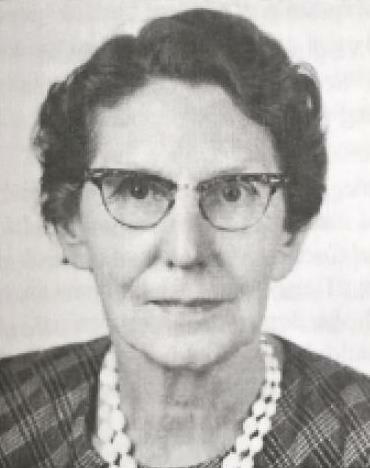 Her father was Henry Leavitt and her mother was Mary Hafen. She married Ernest Pulsipher on October 10, 1919, just over a year before he died of throat cancer. They had one son together. Juanita got a bachelor's degree from BYU. 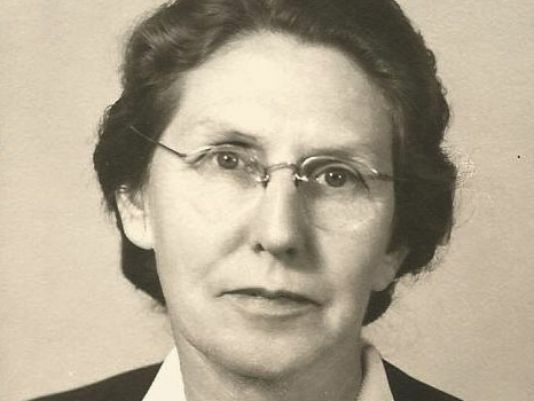 She settled in St. George and became an instructor of English and dean of women at Dixie College, a position she held until 1933. 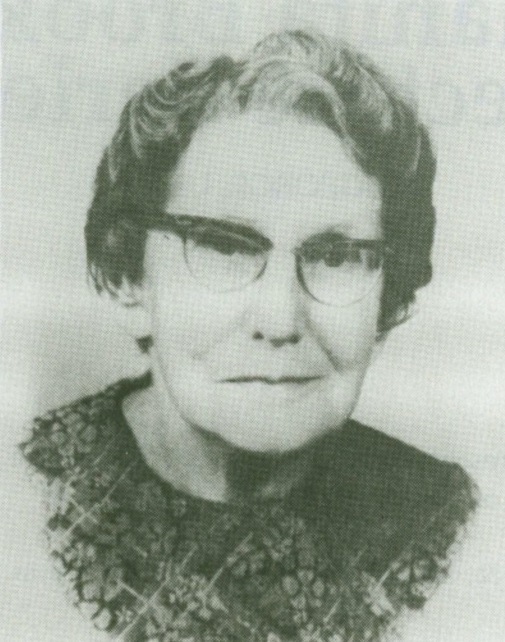 She became the stake Relief Society president, 1933-1939. While at Dixie, she was able to take a sabbatical to earn a master's degree from Columbia University. She wouldn't normally have had enough senority to get the sabbatical, but it didn't pay much and noone else could afford to take the sabbatical. 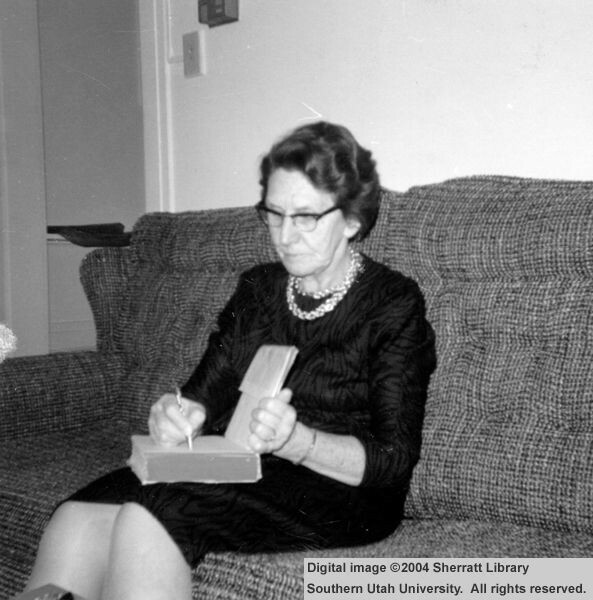 Juanita married widower Will Brooks in 1933. He brought four sons to the family and together they added a daughter and three more sons. She took up historical research and writing. 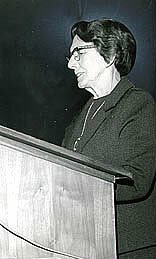 She served on the board of the Utah Historical Society. Juanita died on August 26, 1989 in St. George. She was buried in Plot B_5_7_4 of the St. George Cemetery. Honoring Juanita Brooks: A Compilation of 30 Annual Presentations from the Juanita Brooks Lecture Series. Book compiled by Douglas D. Alder, Ph.D.
"A Few Personal Glimpses of Juanita Brooks"
"In Memoriam: Juanita Brooks, 1898-1989"
"The Case of Juanita Brooks"
"Life Story of Joseph Kay Brooks"
For an information page, click here.